Well after a bit of a quiet time following the sore arm and returning back to work this weekend has seen a bit more progress carried out. After bolting in the gearbox mounts it was time to get the motor back in place. bit of a jig with the crane and pulling and it sat down nicely and is bolted in. next up start to plumb things back in like fuel and wiring. 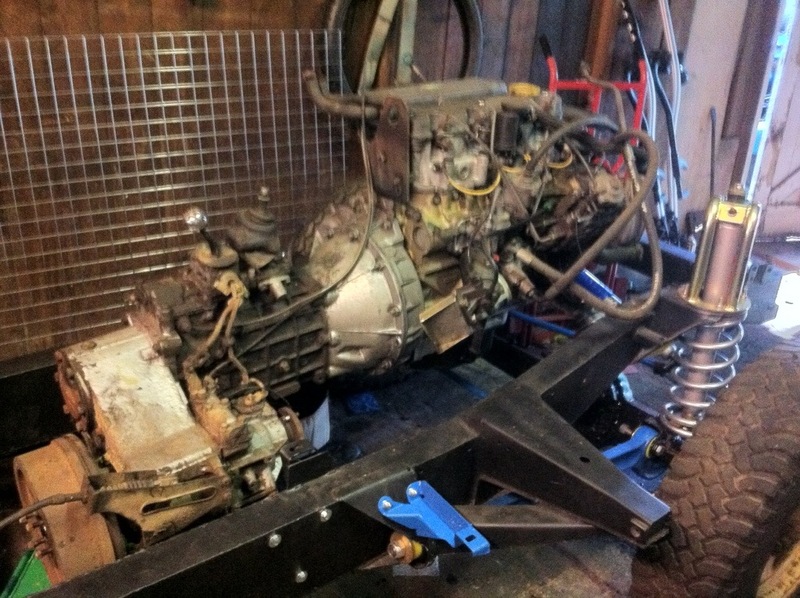 This entry was posted in Engine and tagged 1983 Ninety, Chassis, Land Rover, Progress, rebuild, Rolling chassis, series 2 88, Wirral on September 14, 2013 by landyrebuilds. Well after a busy weekend and a hard couple of nights the chassis is now sitting on the axles and rolling on its own. Having fitted all new poly bushes and BZP bolts, all that is left to do is tighten them to correct torque and mark that they are done. The one word of warning anyone thinking about doing a rebuild is if the chassis is lifted on a jack make sure you can get your arms out if it slips. 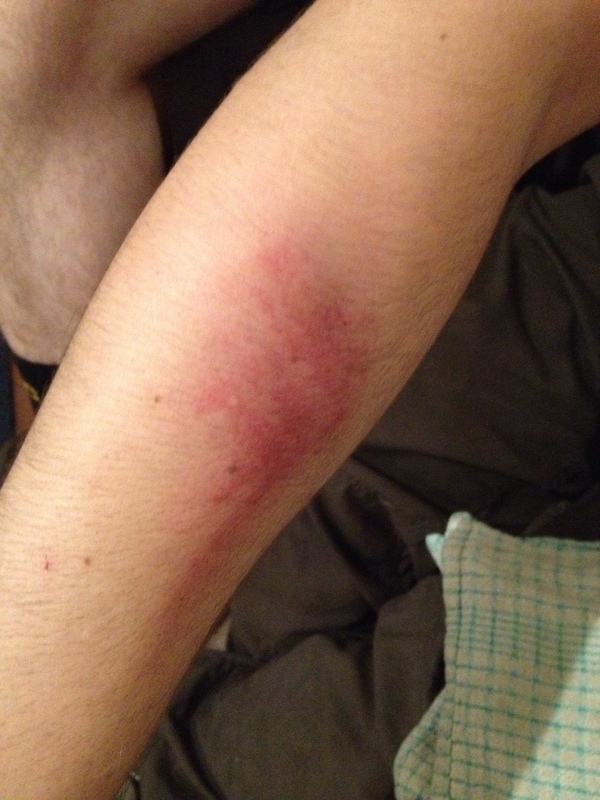 I have learnt this after the rear spring seat landed on my arm. Next up is hope the Richards Gearbox Cross Member is delivered soon so that I can paint and fit that before dropping in the engine and box. 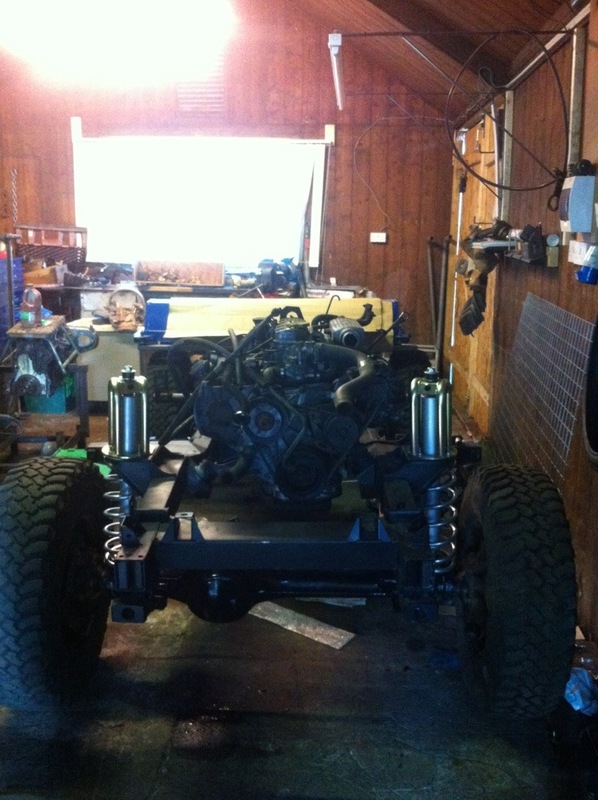 This entry was posted in Axles & Suspension, Chassis and tagged 1983 Ninety, bushes, Chassis, Land Rover, Parts, Progress, rebuild, Rolling chassis on September 5, 2013 by landyrebuilds.